I've never had to model glass panels in Revit but I have seen many posts on them before. I was looking for some guidance and I found a class on Autodesk University which seemed like an interesting approach. I was wondering if anyone has seen this before and if they agree that this is the best 'BIM' approach to tackling glass baluster panels instead of doing MIP or Walls? A cursory glance through the handout and it looks like a solid starting point if nothing else (*note to self- use more color in handouts.) I've also seen instances where people will use a separate handrail for the panels, balusters, & railings to get around some of the idiosyncrasies of how railings work. Last edited by cellophane; April 30th, 2018 at 01:46 PM. Another option is to use generic models as we do. It's not the best solution, but you do get exactly what you want. That's true but I'm trying to avoid a hack approach instead of using a native tool that's actually purposed for the task in hand. If I was to choose an alternative, I'd just use walls as I can't immediately think of a benefit a GM provides over profile edited walls in this situation. I believe I've got the hang of the approach demonstrated in the video but for some reason I've yet to solve, my panel still refuses to follow the host slope even though its extrusion sketch lines are locked to the baluster panel family ref lines. It seems it wasn't the sketch line location that was causing the problem after all but I'm still no closer to determining what's going wrong. 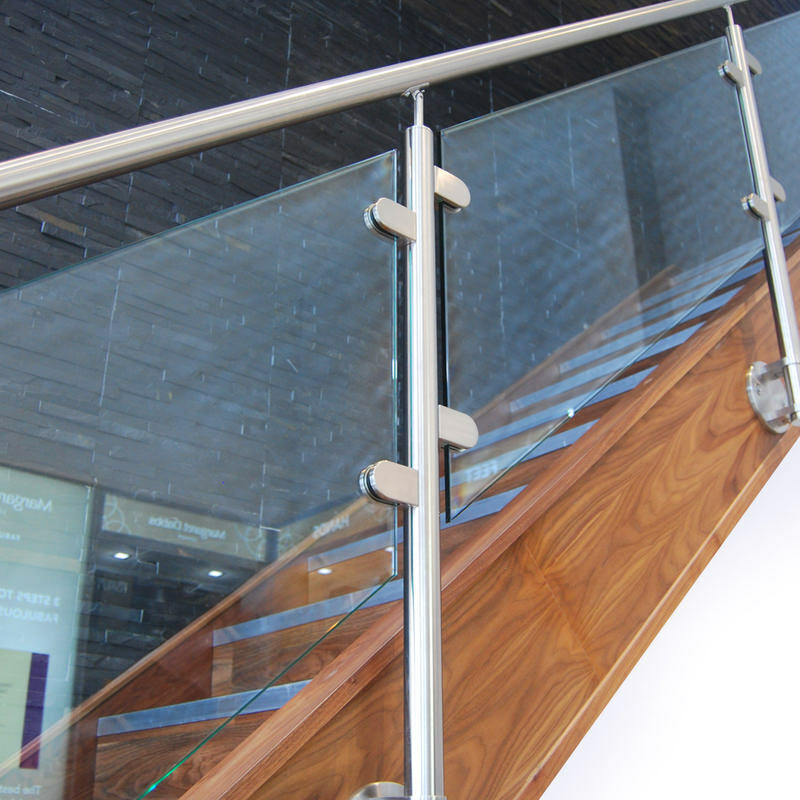 I've always used curtain walls for glass railings since it allows much flexibility for the panel sizes. The handrail is still a railing, but the guardrail and any frame pieces are mullions. The patch fittings can be part of a custom panel or added manually depending on how complex your panel shapes are, or if you're not rendering it, just leave them for the details. I think more often than not I end up using a base shoe, so it's not even an issue. I can't immediately think of a benefit a GM provides over profile edited walls in this situation. If the panels were nested child families in an array, schedules. I'm even looking at that photo now and thinking, "Ooo, that'd be fun, perhaps when I have some time"
Whereas I'd probably quit my job before setting about such with the wall edit tool. But before any of that - how close must the model be? I mean, in all honestly. Last edited by snowyweston; April 30th, 2018 at 05:18 PM. Go to the time marker of 37:30 & start learning there. Basically using a Rail as your Glass, the using "Supports" as your Balusters/Posts. I personally use the "Supports" a an Empty family & or the U-clip/Clamp attached to the glass, then a separate rail as the posts. Not a bad shout and not one that I've tried so far. I'm assuming that the style of posts I need to show would be best in a railing and just use the CW for the glass panels. Heh, I don't think its THAT bad a solution. IIRC I'm sure I read in another glass railing thread that Aaron uses/has used profile-edited walls for glass panels. Elevations/Plans/Sections/Details would suffice as design intent for issue to a stair manufacturer but certainly in future, scheduling MAY add value and be worth investigating. Last edited by BLothian; April 30th, 2018 at 07:35 PM. When it comes to GLASS that isnt just a rectangle or parallelogram, its 50/50 if i will use Families, or Walls with edited profiles. Scheduling isnt a reason to use one over the other. You can schedule walls just like you can schedule families. A poorly built family doesnt schedule, nor does a SINGLE wall with an edited profile. But individual walls schedule just as good as individual families. Daniels handout is badass. He uses the technique i use all the time, where each run of panels its its own railing type, based on length and spacing of panels. The only part i sometimes dont "bother" with, is the trickery to make glass panels be partially flat and partially on the rise. Thats more because- as much as i hate to say it- if someone ELSE has to edit it later, id like it to be easy to understand. So the attached are all "Revit railings" except the glass pieces themselves. Which are just walls.